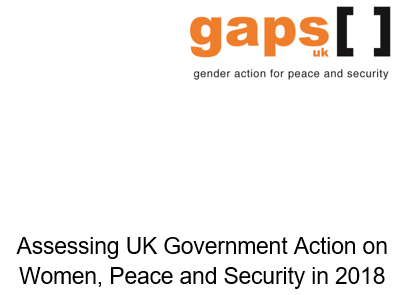 In this shadow report, GAPS assesses the 2018 Annual Report to Parliament by the UK Government and focuses on how the UK Government has used, and could have used, the first year of implementation for this National Action Plan (NAP) to lay a strong foundation for the full five years of the NAP. While the inward-looking Strategic Outcome 7 on UK Government capabilities is particularly welcome, there remains considerable room for progress. 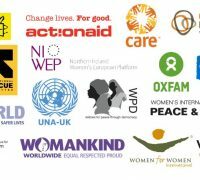 It is vital that the UK Government scales up its Women, Peace and Security efforts, including on: funding for Women, Peace and Security, in particular for women’s rights organisations, women human rights defenders and peacebuilders; addressing the root causes and drives of gender inequality, violence and conflict; meeting arms control commitments; domestic implementation of the Women, Peace and Security agenda; and community-based peacebuilding. This report builds on and complements the GAPS’s six-month check-in on the NAP and the Shadow Report for 2017, among others.